If you’re hiring subcontractors or freelancers, you’re going to want some kind of signed freelancer contract that establishes the basics of the work. We all understand the importance of contracts, but that doesn’t mean we always use them. Maybe you’re put off by all the legalese and fine print. Maybe you think it’s a waste of time to draw up a lengthy document for a project that’s going to last just a few days…particularly when you’re hiring someone you already know or who came highly recommended. 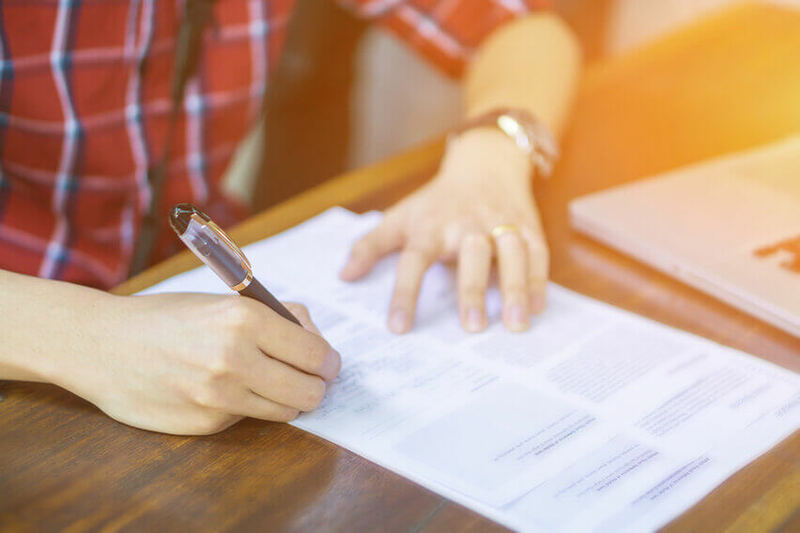 However, if you’re hiring contractors or freelancers, you’re going to want some kind of signed document that establishes the basics of the work. A contract helps cover the bases in case a problem arises, but perhaps more importantly, it makes sure that everyone is on the same page in terms of expectations for project scope, deliverables, payment, timeline, etc. Oral agreements leave the door open to costly misunderstandings. For example, is the deadline for the first draft or final product? Who’s going to pay for any mileage or transportation costs? How quickly should the contractor respond to you, and how fast do you need to turn around each review cycle? And for that matter, how many review cycles are allowed? Spending a little time writing out the details upfront can spare you some headaches down the road. Here are the key essentials to know. When Do You Need to Use a Contract? Generally speaking, you should draw up some kind of contract whenever you’re hiring a contractor or independent worker to perform a job. The one exception is when hiring through a hiring site like Elance.com or Guru.com, as these sites usually provide a basic terms of service that might be sufficient. But if you’re hiring someone yourself (either through posting your own ad or getting a friendly referral), you’ll want a contract. What Should Be Included in a Contract? You don’t need a lawyer to help you draw up a contract. You can download a contract template by doing a basic search on Google, but it can be even more effective to write up your own document in plain, simple language. And most likely, if you already have a decent job description and have discussed some of the details in person or over email, you’ve got most of what you need. Any contract needs to include the legal business name, main contact, physical address, and billing address for both the client and contractor. If a problem arises, you will have the details needed to get in touch with all parties involved (and vice versa). This section is probably the most important in terms of setting proper expectations. You should be extremely specific as to what you’re hiring for. For example, if you’re hiring someone to help redesign your website, or a client’s website, what are the specifics? Is the freelancer handling any copywriting or using existing copy? Who will be providing stock imagery or other graphics? Does the scope also include keyword/SEO research? How many initial concepts (comps) will they provide? And most importantly, how many revisions or rewrites are included? The goal is to outline as many details upfront so there are no disgruntled feelings down the road. Without explicit parameters, it’s easy for contractors to feel like they’re being pushed to work out of scope and for clients to feel like they’re not getting what they’ve paid for. Will the contractor be paid by the hour or by complete project? If by the hour, include a minimum-maximum work hour clause so there are no surprises for either party. If it’s by completed project, make sure the exact details of the deliverable are laid out in the previous section. In addition, you’ll need to iron out the payment schedule. For hourly models, how often will the contractor bill you (i.e. every week, every month)? For complete project models, will the contractor invoice you after hitting certain milestones? Well, we suggest using professional, streamlined freelance invoice templates. These will help your clients better stay on top of paying your invoices, as well as keep you more organized. Also include the finer details like how quickly you’ll pay upon receiving an invoice (i.e. 15 days, 30 days) and what are the acceptable payment methods (i.e. PayPal business payments via FreshBooks, check, direct deposit). Be crystal clear about any deadlines, including final deliverable and any milestones along the way. If applicable, you may also want to define the time schedule for your own review/feedback as well. Remember that if you miss your own deadline because of a freelance contractor, the problem falls on your shoulders, not the contractor’s. Include a brief description of who will be responsible for any expenses. These might include gas/mileage for any travel, stock photography, or software. In many cases, this section could be a simple statement that you are not responsible for reimbursing the contractor for any expenses outside of the payments outlined above. Depending on the kind of work involved, you may need to define the copyright terms. In many cases, the freelancer owners the rights to the produced work until the final payment is made. Then, the rights are transferred to the client. I know I promised that you don’t need to be fluent in legalese to draw up a contract, but there are a few legal items you’ll want to include. Namely, you’ll want to state that the freelance contractor is being hired as an independent contractor and is responsible for paying his or her own income taxes. That’s because some companies get into trouble by incorrectly categorizing a full-time employee as a contractor. Along these lines, you cannot exert too much control or supervision over a contractor. For example, you’re allowed to set project deadlines, but you can’t define exactly when or how the contractor should work to get the project done. Last, but not least, you need to sign it! A contract isn’t a contract unless it’s signed by both parties.